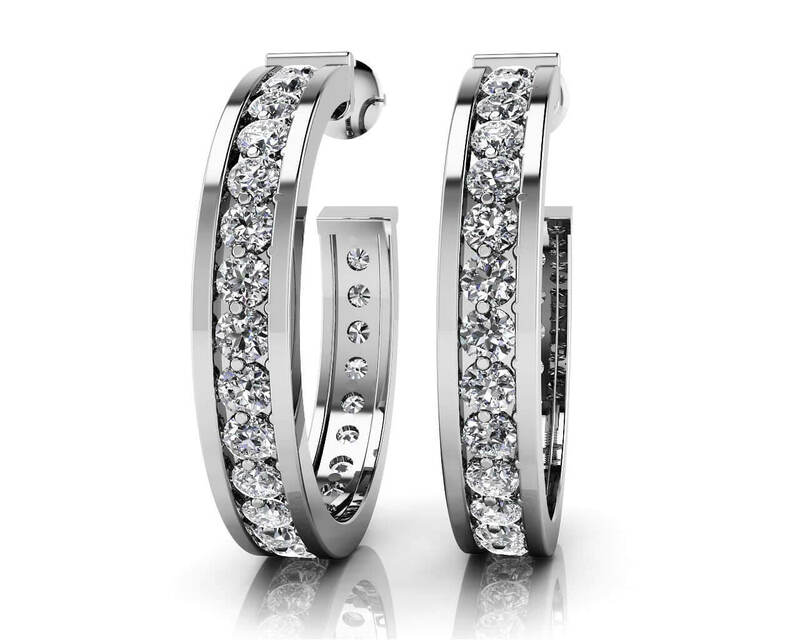 These hoop earrings have a classic round shape. The rounds hang perfectly from the earlobe, and sparkle & shimmer from every angle! 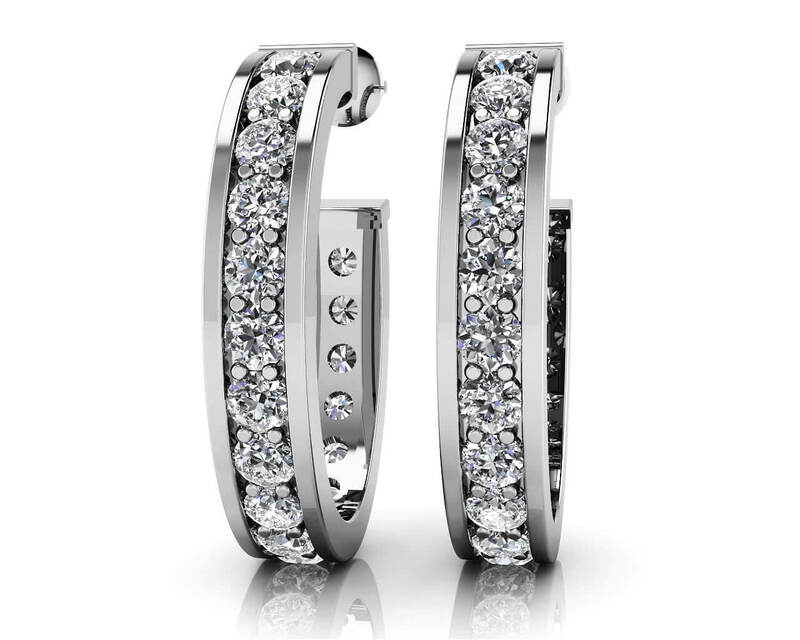 These hoop earrings are available with your preference of gemstone, diamond quality and metal type. 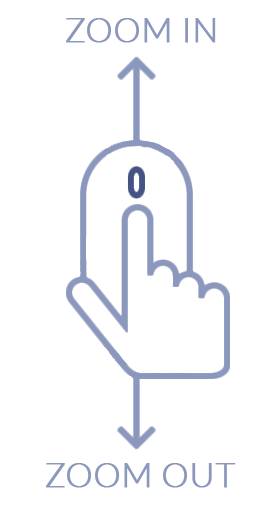 Plus, they are offered in 4 different sizes, ranging from .75 to 1.5 total carat weights. 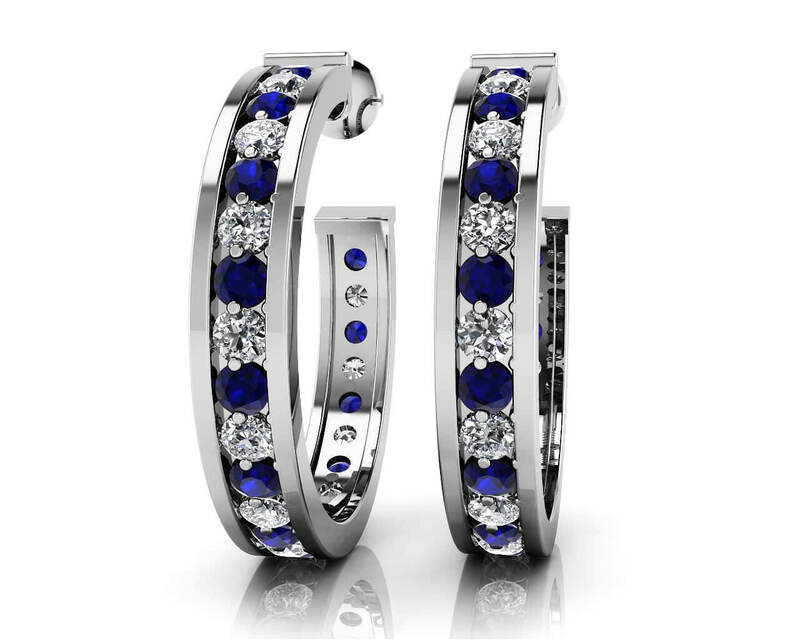 The pair will feature 46 or 50 stones total depending on the carat size you choose. Perfect for any occasion, so create your own unique pair today!